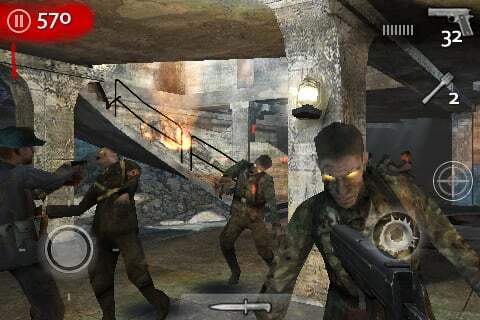 Today, iPhone and iPod Touch users will learn the pleasure of killing zombified Third Reich troops. 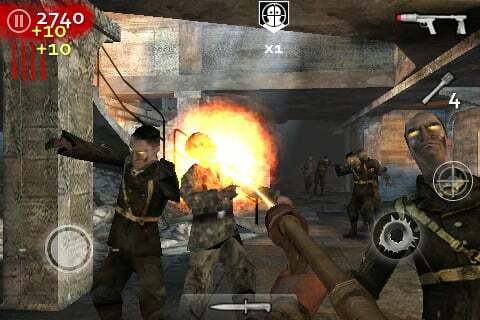 Call of Duty: World at War: Zombies is now available through the App Store. 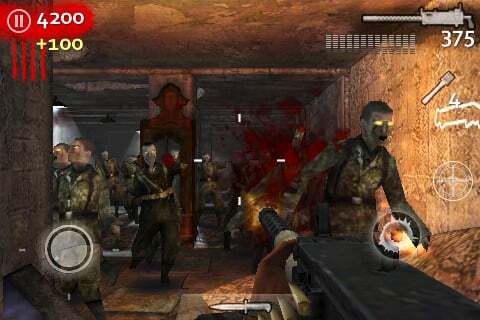 Based off of the popular multiplayer mode from the PC/PS3/Xbox 360 Call of Duty: World at War, Zombies tasks players with fending off waves of undead Nazis. Each kill earns you cash to purchase new weapons. You can fight alongside one other play via Bluetooth or with three others via Wi-Fi. You can also play alone if you're feeling ballsy. 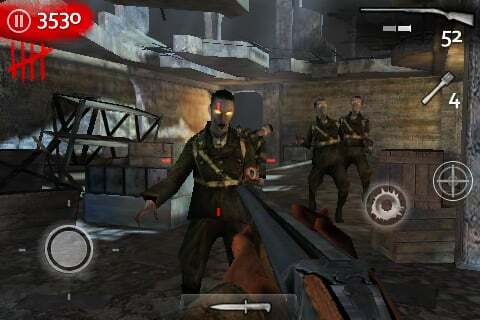 Zombies costs $9.99 to download. Four screenshots are below.